123inkjets offers ABS filaments for a user friendly 3D printing experience that delivers amazing creations in eye-popping colors! 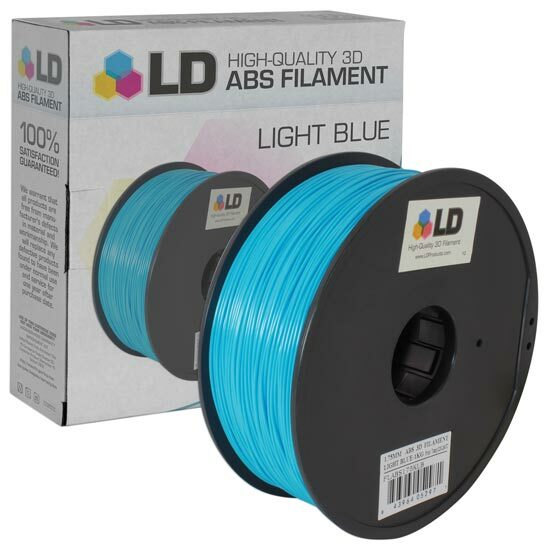 These spools of light blue 1.75 mm 1kg (2.2lbs) ABS filament are specially coiled to prevent tangling during print jobs. Melting point of 220-260 degrees Celsius.